1. Do not skip any meal of the day; and do not over eat. 2. Have a healthy breakfast. 3. Include any two varieties of cereals in your meals - change the cereals every day to get all the nutrients. 4. Have 3 servings of dals or sprouts every day. 5. Sprouts can be steamed or boiled to make it easier for digestion. 6. Include at least one serving of fruits in your diet every day. 7. Have green leafy vegetables 5 times a week. 8. Include salads (raw or steamed) in both the major meals. 9. Have 2 serving of milk and milk products throughout the day. 10. Include dry fruits as a small snack. 11. You can have eggs, lean cuts of chicken also. 12. Be careful while consuming fish. 13. Avoid junk foods as much as possible. 14. 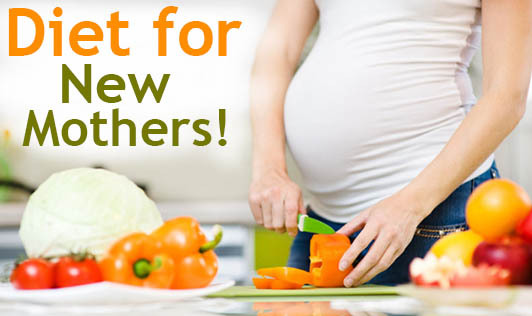 Do not try to lose weight immediately after the delivery by dieting. 15. Make sure to exercise regularly (consult your Physiotherapist to know what kind of exercises you can do). Take care of yourself, your baby looks up to You!